Very moisturising and seller gave samples. I order 2 tubes. 1 of the tube arrived with cap screwed in which broke the seal. 1 of the eye cream completely oxidise and seller refuse to do anything. Don’t be fool by the expiry date. Order at your own risk. $49.30 fly out of the window. 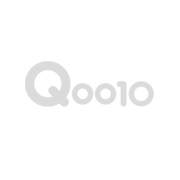 Seller use Qoo10 as a dumping ground for damaged goods.